Like a fine wine, Travelling Corkscrew gets better with time. What started out as a channel to ravel out her travels and penchant for wines, Casey Bryan’s Travelling Corkscrew is now one of the most read wine blogs in Australia. From Australian to all types of wines, local wine tours, out-of-the-country trips to the wineries, wine tasting, food pairings to hangover remedies — Casey’s blog is for vino lovers and anyone who enjoys an occasional glass of wine. 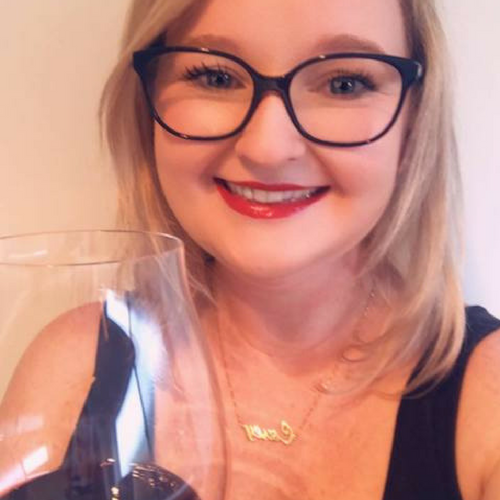 I’m Casey Bryan, originally from New Zealand and I’m a wine blogger with a passion for making the wine world fun and approachable for wine lovers online. After working in the New Zealand wine industry (cellar door and retail sales) and earning my Bachelor of Communications degree with a major in Public Relations I was enticed by overseas travel. Twelve years ago, I left NZ and have since lived, worked and travelled in Thailand, the United Arab Emirates, Scandinavia, Europe and the UK. In 2011, I arrived on the shores of Western Australia and have recently made the next shift to country Victoria. My blogging has led me to a career in online marketing, specialising in SEO and Google Ads. In 2018, after working in digital agencies, I have now started my own consultancy, Grand Cru Digital which I manage alongside my wine blog. For the benefit of our general audience, tell us about Travelling Corkscrew. How did you get started and what is it about? My blog, the Travelling Corkscrew, was born in 2010 when I was working in the wine industry in Dubai. I was working in fine wine retail sales, where I held the record for the largest wine duty-free sale at the time (US$100K). The blog is my story through the wine world, where I share my adventures visiting wineries alongside sharing my knowledge of all things to do with wine. From wine hangover tips to my favourite mulled wine recipes and more. The blog is about making wine fun, there’s no snobbery or judgements. After all, it’s alcohol! I have always been intrigued by the digital world, and I’ve always loved to write, so it seemed like a natural fit to start the blog. For the first couple of years, it was probably only my mum reading it, yet I loved to do it, so I haven’t stopped. The more I played around with my website, the more I became interested in the web development and marketing for websites. Which led me to website marketing as a career. The blog is a hobby that I love to do and as an added bonus it makes me better at what I do through Grand Cru Digital. Who are your target audiences? How do you differentiate from other bloggers? My target audience is your everyday wine drinker. I drink everything from $10 Aldi wine to $500 Champagnes (for those extra special occasions). I’m very conversational in my writing and I like to have a bit of fun, therefore wine wankers and wine snobs are probably not going to feel at home on my blog. My target audience like to try or at least entertain the idea of trying different wines and visiting new wine regions and wineries. I hope through the blog to shine some light on new and interesting parts of the wine world for wine lovers. 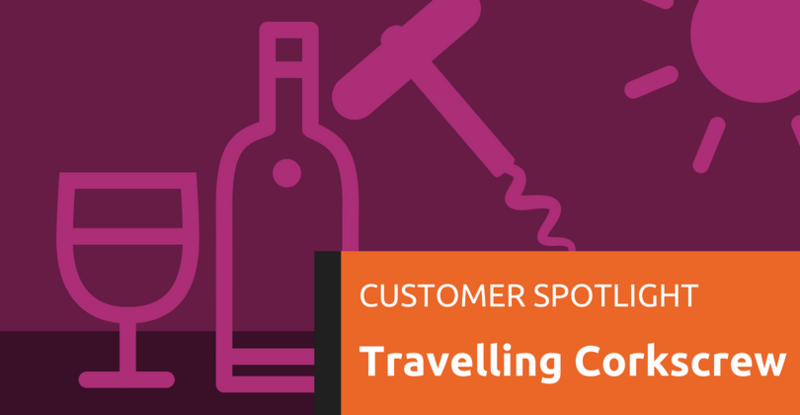 Tell us about your Travelling Corkscrew website: Was it designed and built internally or did you get help? I created it myself. It’s changed platforms and designs over the years quite considerably. Once I moved to WordPress, there’s been no turning back. I am hoping someday I will have the funds to give it an entire makeover professionally. However, for the time being, it’ll just be me tweaking little elements on the weekends whilst enjoying a glass of wine. For me, it was just the lack of knowledge when it came to web development and design. Therefore it took me a long time to work out why things were going wrong / the best way to do things. I am also not scared of playing around with the HTML code, which means on a number of occasions I have had to contact WP Hosting to say I’ve accidentally broken my website. The customer service team probably knows me quite well now! Moving forward, I want to improve the website, but I now have over 600 blog posts and pages to deal with, so it’s not going to be an easy task. In my opinion, it’s the best platform for flexibility and website improvement. There are very few limitations when it comes to what is doable. I wouldn’t have my websites on any other platforms as I know that I am the type of person who will continually be tweaking my sites for better performance and to stay up with the latest digital updates. In terms of business’ strategy, how effective is your website? Can you share any other tactics that have worked well to promote your business and/or website? For me, my focus is on creating great content that is optimised for people searching for that type of content online. Organic search is my focus channel and back this up with content promotion and brand awareness through social media and email marketing. Something personal: What’s the best business advice that you have ever received? To be yourself. Do lots of reading, especially about how others succeeded but to create your own path. Just because something worked for someone else/another brand, doesn’t necessarily mean it will work for you or is the right fit. To conclude, what do you hope to achieve with your wine blog in the next 12 months? As the blog is my side hustle, and I don’t plan on monetising it, I just want to keep on having fun with it. Naturally, I want to increase my website and engagement stats as much as possible through focusing on great content creation and promotion.